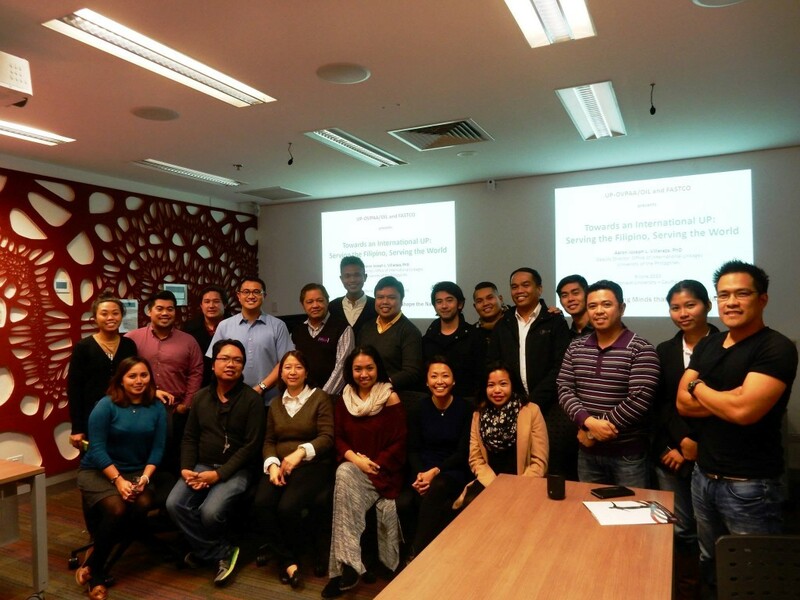 After its successful run in Europe and the United States, the University of the Philippines (UP) international roadshow headed south to connect with Filipino scholars and researchers from top-notch Australian universities. 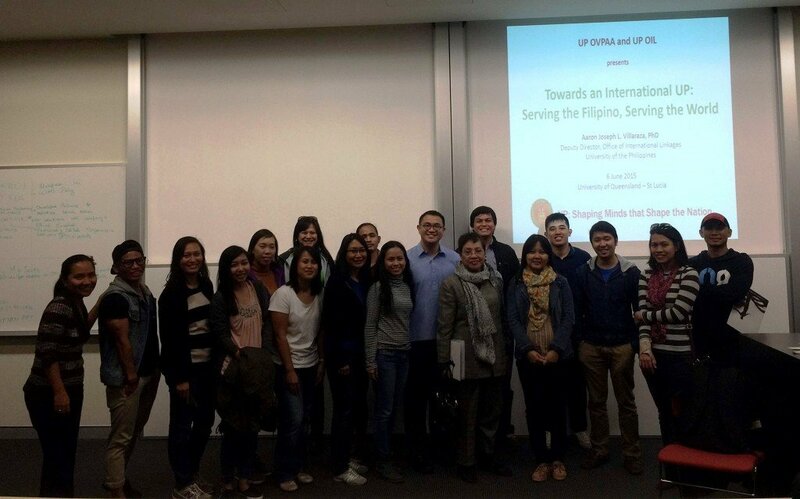 Dr. Aaron Joseph Villaraza, deputy director of the UP Office of International Linkages, was in Brisbane on June 6 and in Melbourne on June 9 to meet with graduate students, postdoctoral fellows and young faculty members from the University of Queensland, Griffith University, Monash University-Caulfield, Royal Melbourne Institute of Technology, University of Melbourne, and Deakin University. Villaraza presented UP’s new initiatives and increased financial support to strengthen infrastructure, research, and faculty recruitment. He also shared how UP is internationalizing its teaching and research programs by forging collaborations with foreign universities through Filipino academics based abroad. A total of 40 attendees made it to the sessions in both Brisbane and Melbourne. On June 8, Villaraza guested in a Filipino radio show of Special Broadcasting Service (SBS), an Australian public broadcasting network that provides multilingual and multicultural radio and television services. Speaking from SBS Studios in Melbourne, Villaraza took advantage of the opportunity to communicate to a wider audience the objectives of the roadshow, the cities it covered thus far, future stops, and the feedback that it has received. 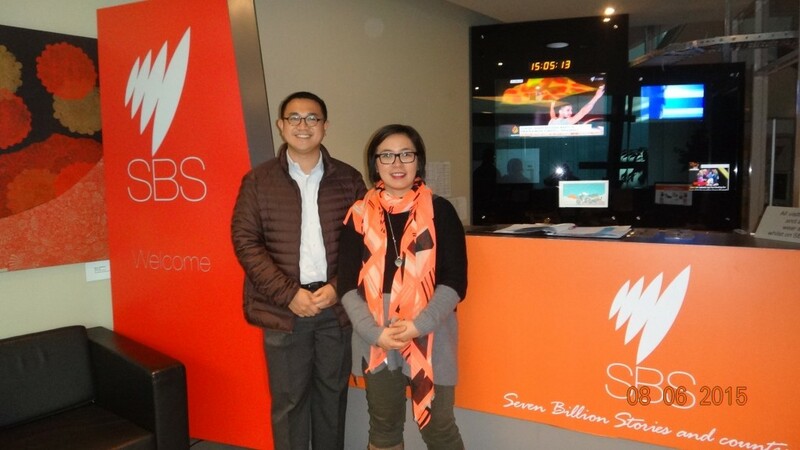 Dr. Villaraza was interviewed by SBS Melbourne radio host Ms. Maridel Martinez-Andanar. A number of Filipino faculty members from Australian universities have already expressed interest in forming linkages with UP. Discussions with them have been initiated, according to Villaraza. Previous Entry: Who will be the next model of progressive teaching in the University?